First off, I am aware, as many are, that “Allentown” was really written about Levittown. I am also aware it was more about Bethlehem than it was Allentown. But, let’s pretend the song is about Allentown, because for those that don’t know the back story, it may as well be. It is clear that the Lehigh Valley that is sung of in “Allentown” circa 1982 is very different from the Lehigh Valley of today! Except they aren’t abandoned old relics marking industries decline. They have been given new life with the continuing success of ArtsQuest™ and Sands® Bethlehem; part of one of the most successful brownfield revitalization projects in the country! That’s because there is so much to do in Allentown, Bethlehem, and Easton. ♪ ♫ “It’s hard to keep a good man down” ♫ ♪ Or a good community for that matter. Allentown, Bethlehem and Easton have all seen ups and downs; from decimated industries to rebirth. The world that once expanded from the city out into the suburbs is now retracting back, refocusing the centers for culture back to downtowns. The cultural rebirth of Lehigh Valley is not finished, but we are well out of the starting blocks. It’s a success story that other communities could learn from, and maybe Billy Joel can tell it. But in all reality, we don’t need this. It is just something that people in Lehigh Valley talk about. It’s not new; it’s been a subject of conversation well before the ground broke on the PPL Center. Its opening has simply re-engaged the conversation. We are better in Allentown, Bethlehem and Easton than we were in 1982, which is not something that every community can say. Lehigh Valley is growing, as are its three main municipalities. That growth is good for the entire Lehigh Valley, reaching beyond the three municipalities from Trexlertown to Nazareth, from Center Valley to Emmaus. Billy Joel, come if you want. We’ve got a lot going for us and we’re continuing to grow and reinvent ourselves. We’ve recovered from the decline of silk and steel industries and nothing will keep us down. 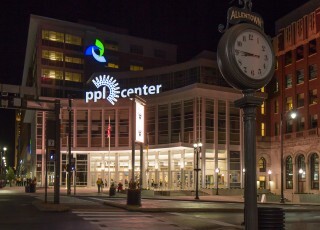 Lehigh Valley is destined for greatness and we have no intention of stopping!